The demands on the principal actors are daunting, and Kevin Adams and Timothy H. Lynch are up to the challenge. They wear their lines with the effortless familiarity required of a vaudeville star, moving with the ebb and flow of the obvious jokes and taking some time to accentuate the little moments that would fall flat if not given the careful attention the principals afford them. At the point in the show where the pair actually performs one of their vaudeville sketches, the transition is barely noticeable. The relatively bare but carefully detailed set by George and Eric Lucas depicts Clark’s apartment to start with and shifts briefly to the TV set where the pair are rehearsing their famous “doctor sketch”. This combined with the competent sound design by Dan Deiter and clever house music (“Who’s on First?” plays during intermission) do a great deal to draw the audience out of Keegan’s tiny brick space and in to the world of the play. 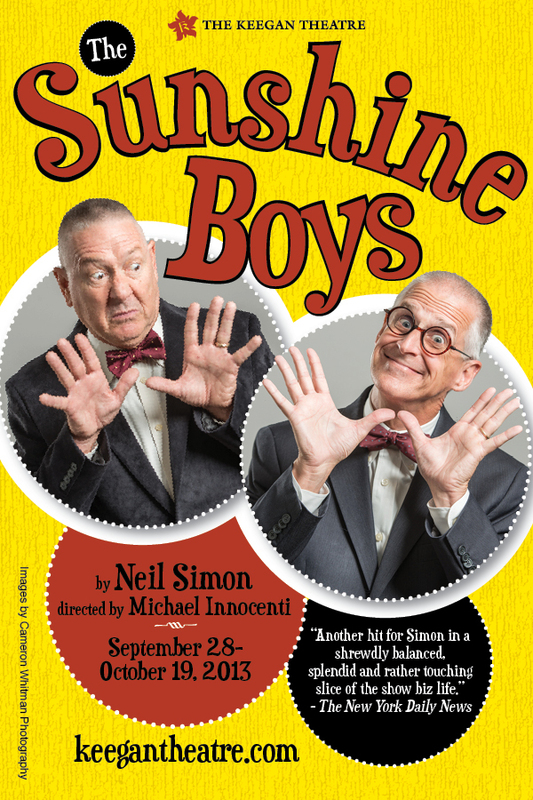 The Sunshine Boys is a production director Michael Innocenti should be proud of. Innocenti remembered the first rule of comedy, though: it needs to be funny first. In his hands, Lynch and Adams are certainly that, and the real vaudeville comedians they are based on would be proud to see them stoke the genre’s flame just a little bit more.